Possibly the greatest advantage of motorized shades to households with children is the elimination of cords. There is no more need to shorten cords, limit their movement, or arrange the furniture in the room around the potential danger of accidental strangulation. Motorized shades have no cords. With just the touch of a button, window coverings are opened, closed, or adjusted for optimal lighting effects. 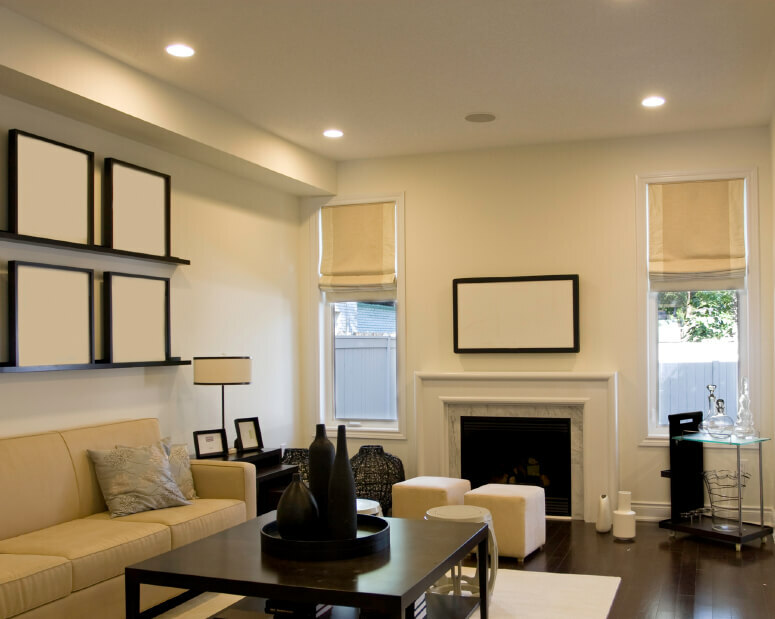 With motorized shades, the opportunities in every room in the home are greatly increased. How about that unreachable skylight that you wish you had the ability to adjust at certain hours of the day? Now you can add an easy-to-operate shade whenever you want, for any reason. Motorized shades and blinds offer a range of control options, not the least of which is automatic programming. Whether it is wireless wall switches or hand-held remote controls, you gain easy access to control or manipulate your lighting preferences. Instead of decorating around the need to reach the window shades, now you can point and click. Further, you can pre-program your settings and have the system automatically adjust your shades to respond to the changing light of day, whether you are home or not. Home automation is awesome. With every manufacturer now on-board with the preferred option of motorized shades and blinds, there are many from which to choose. In addition to roller, sheer, and Roman shades, there are pleated, cellular, bamboo, woven woods, solar, and creative shades. In blinds, there are both wood and faux wood as well as fabric, composite, aluminum, vinyl, vertical, and horizontal blinds. Pricing your motorized shades and blinds tends to be specific to your needs, the number of window coverings and degree of customization. It is certainly worth consulting with the expert advisers in the field to help answer the many questions, decide on the best methods of light control and determine measurements. For instance, your home theater takes on a whole new experience when you know that you can achieve total black-out with you and all you guests comfortably seated and ready to enjoy the feature of the day. Imagine the awe-inspiring impression created when the shades are closing simultaneously to a screen descending. It is encouraging to know there are standard models available for under $100 up to $299. In addition, many manufacturers are offering greater deals as these products continue to expand and the market is rich with options. It is possible to have a trusted adviser give you an estimate to do all of your window coverings including non-standard shapes, precise tilting, fascia cuts, retrofitting, or complying with any of your design specifications. Once a smart home is operating under the motorized functioning of window shades, natural light management expands to include maximizing energy efficiency, personal security, and simply the pure enjoyment of managing your interior atmosphere to the slightest degree with the slightest of effort.